Our long suffering readers (for all of six weeks & consisting of my Mum & a few friends :-)) will remember our headline issues at Auchenard from our home report. 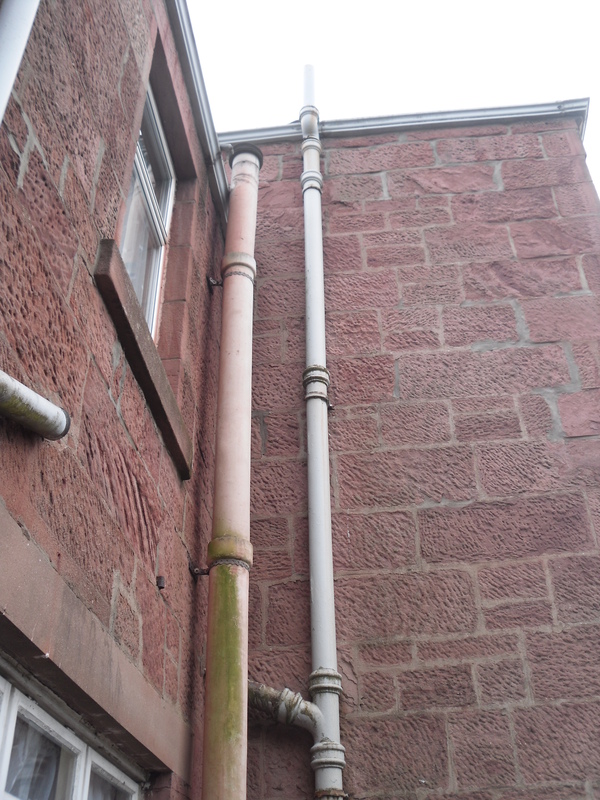 Our asbestos pipe removal was a primary concern although as it was external to the property and no longer in use it wasn’t as urgent as the roof or the damp proof works. We have had Charlie the roofer and his team in carrying out roof repairs with a scaffolding tower. 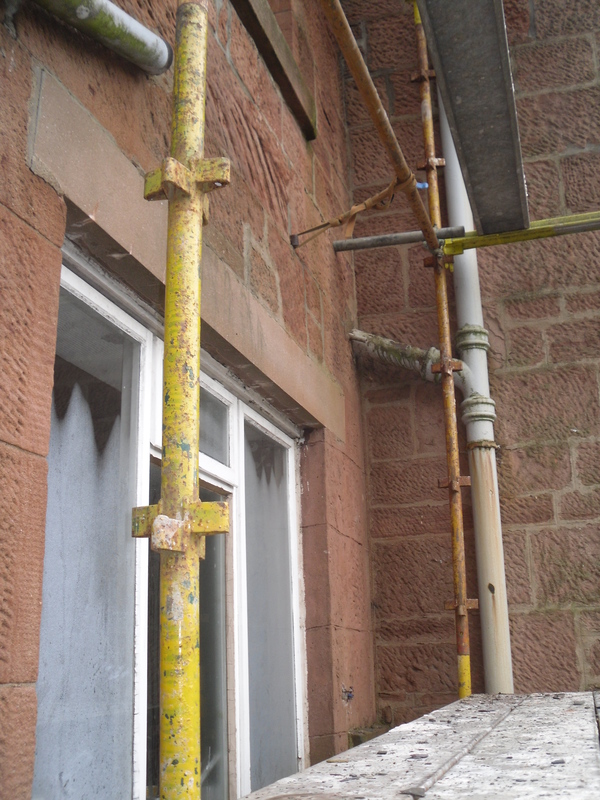 We also had a very large asbestos pipe, the removal of which required a scaffolding tower – can you see the natural synergy? 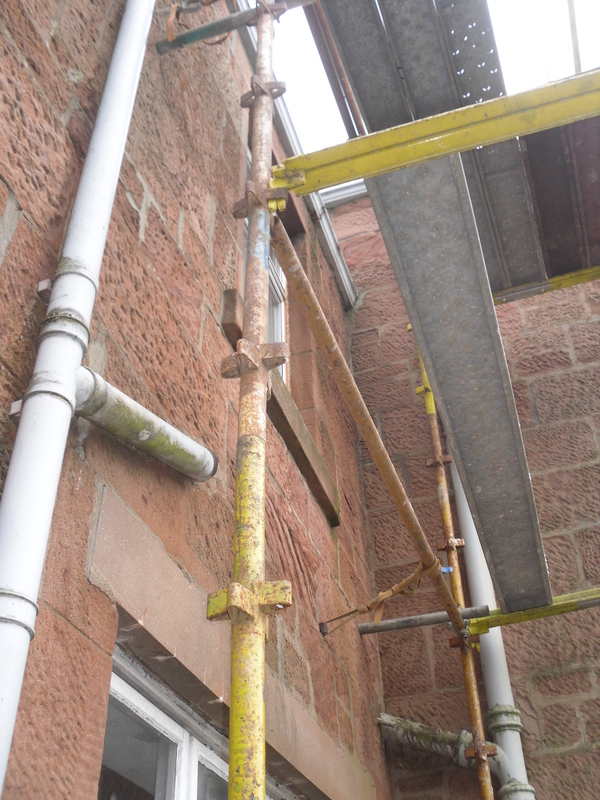 Charlie had moved the scaffolding tower to the back of the house to carry out some roof repairs which was perfect for our contractor to remove the asbestos pipe. As asbestos is pretty dangerous our chosen contractor was suitably suited and booted for safety. As I mentioned previously inhalation of the asbestos fibres can cause serious diseases of internal organs and is only discovered a long time after original exposure so it important to deal with it correctly and if it is on your property you should have it removed sooner rather than later. And now you don’t! Oh yes we were doing a little victory dance seeing that danger zone neutralised, out of the house and off the premises. That is another negative on the home report happily turned into a positive as the new fancy schmancey boiler will have a new flue to match. Here is how Auchenard used to rock its asbestos piping disaster. 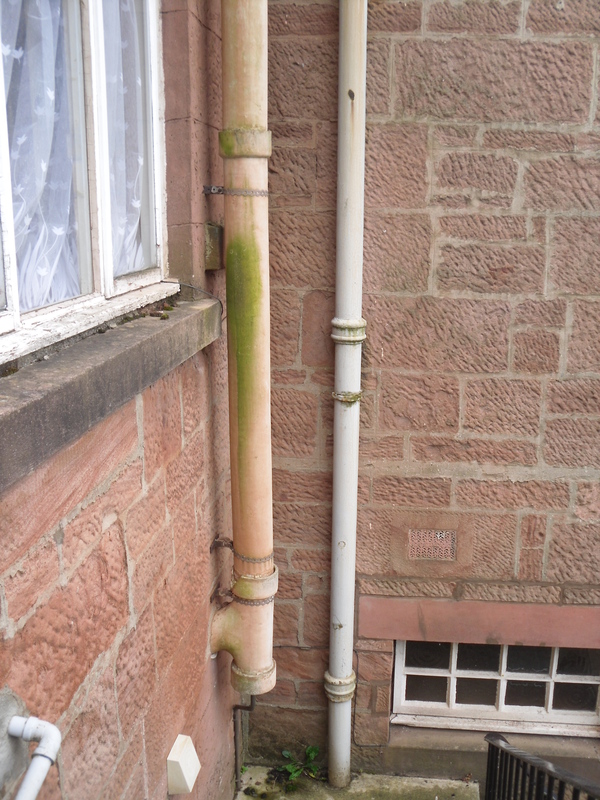 Gone is the green gunge, mould and cracked pipe work. Not a trace of asbestos left behind. Just a surprisingly large hole in the wall and blank slate for the new flue. So that is three of our top terrors wiped off the list. Charlie emailed this evening to confirm that the roof works are finished. 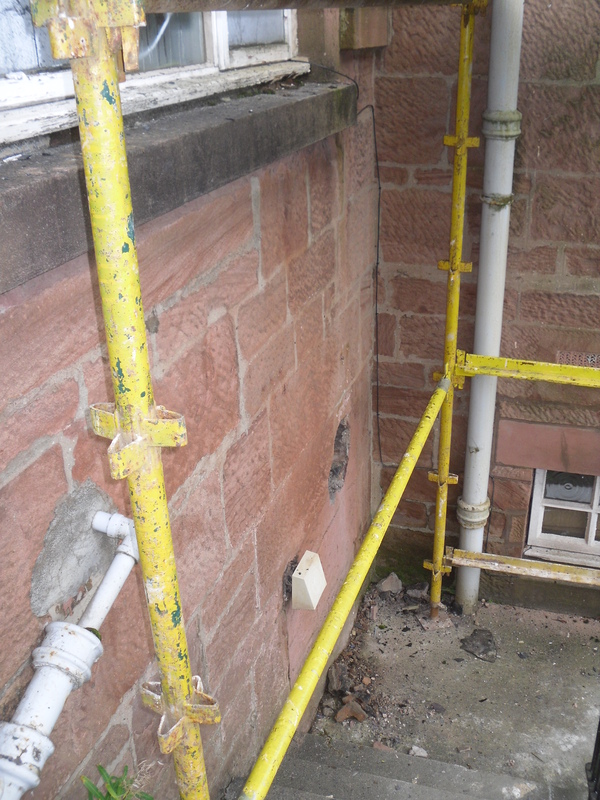 So we’ve sorted out the damp proofing, made the roof water tight and got rid of the toxic pipe. Do I hear the clapping of hands and a shout of well done?